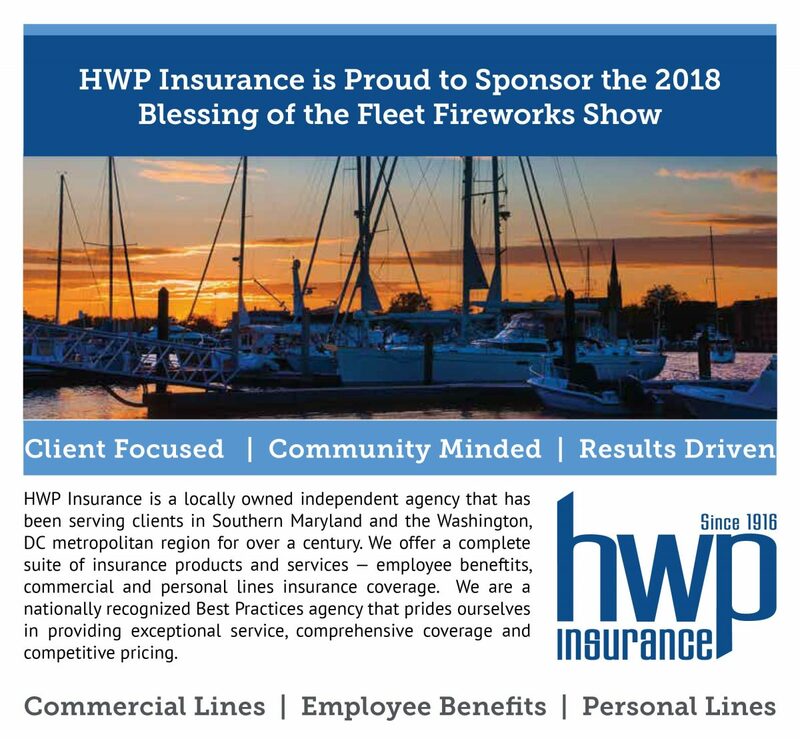 HWP Insurance to Sponsor 2018 Blessing of the Fleet Fireworks Show – Howard W. Phillips & Co.
Saturday, October 6th marks the 51st annual Blessing of the Fleet on St. Clements Island in St. Mary’s County, Maryland. The Blessing of the Fleet commemorates the founding of Maryland on St. Clement’s Island and the traditional blessing of the fleet of boats belonging to the watermen of Southern Maryland. The celebration begins at 11:00 a.m. and includes museum, boat and lighthouse tours as well as a parade and wine tastings and much more. HWP Insurance is a proud sponsor of the days culminating fireworks display which is considered one of the greatest in the Washington, DC area. For more information visit the event website .